Mix up your favorite flavor of gelatin and pour into clear plastic cups. Let it set for a bit in the fridge until goopy. 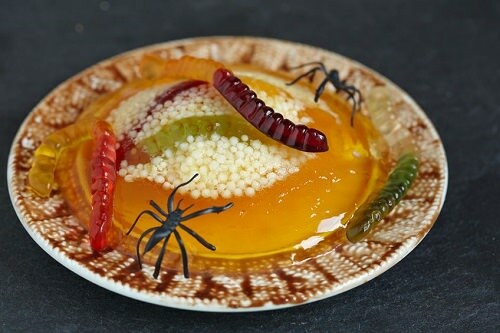 Drop some gummy worms and bug sprinkles into the mix and put them back in the fridge to finish setting up. If you don’t have plastic cups, you can use plastic plates to serve wormy jell-O cups.